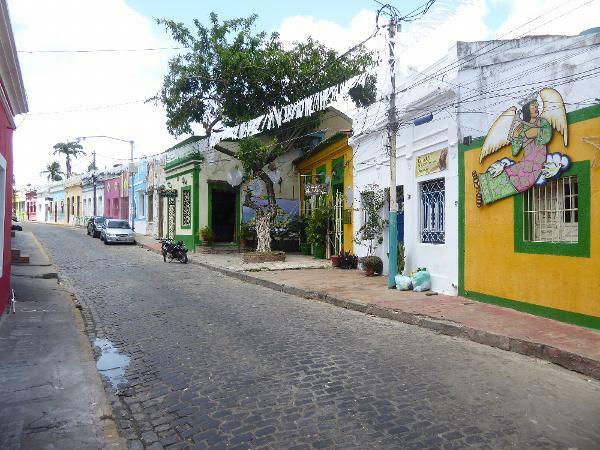 Where do you go to see colonial Brazil, the Brazil that existed between 1500 and 1822? 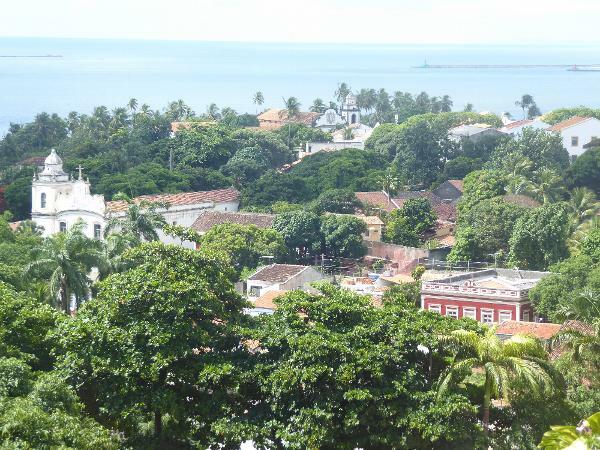 One good choice is Olinda, the "beautiful place" founded in 1535. 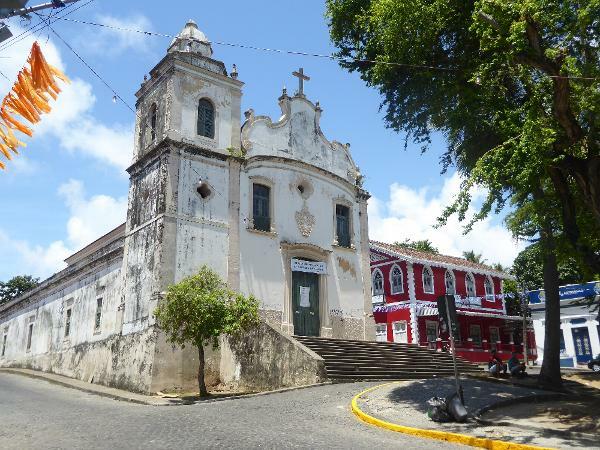 Forget looking for buildings that old in Olinda: the Dutch interregnam (1630-54) was brief but thorough. 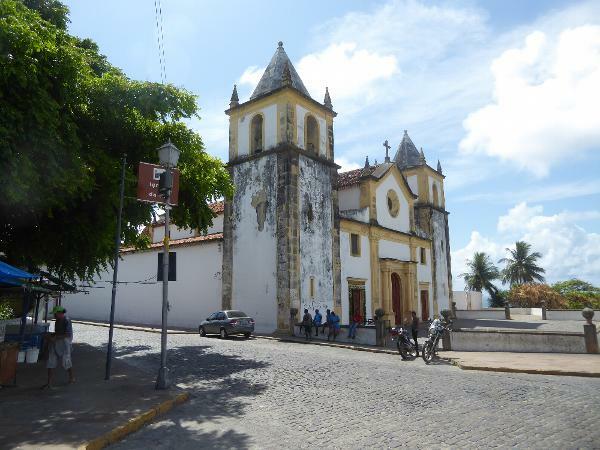 When the Portuguese came back they returned the favor, so you can forget as well about looking for Dutch buildings. 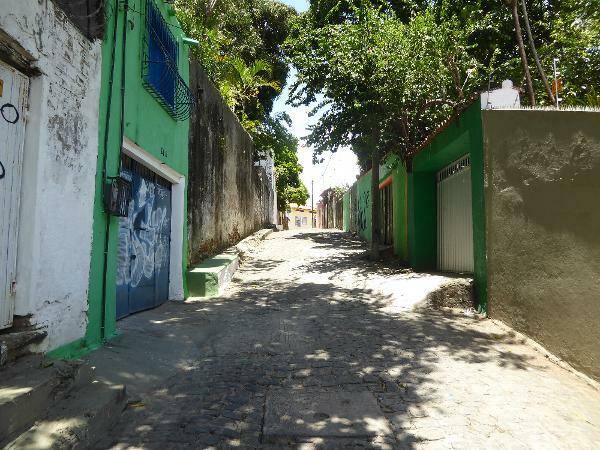 That cuts colonial Olinda down to about a 150-year period from shortly after 1650 to shortly after 1800. 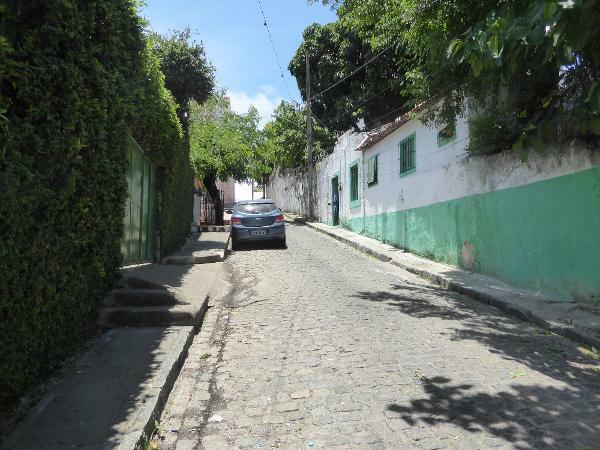 Officially, Olinda has about 300,000 people, but the historic district is much smaller and mostly around this hill. The early Portuguese preferred cities in an Acropolis style; it made them feel secure, and living on a hill isn't a big deal if you have horses and slaves to carry you up and down. The Portuguese elite had both. 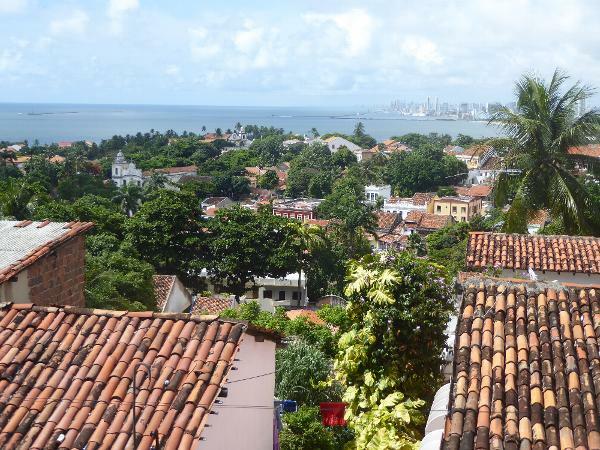 In the distance, five miles away, is Recife, a hugely bigger city than Olinda now, but in the colonial period a ragged commercial excrescence that embarrassed its aristocratic neighbor, proud capital of Pernambuco. Charles Boxer, who is about as authoritative a historian of Brazil as you'll find in English, contrasted Olinda, "a miniature and tropical Lisbon...dignified by massive churches and convents" with Recife, an "ill-built and overcrowded shantytown huddled on the swampy land around the harbor." 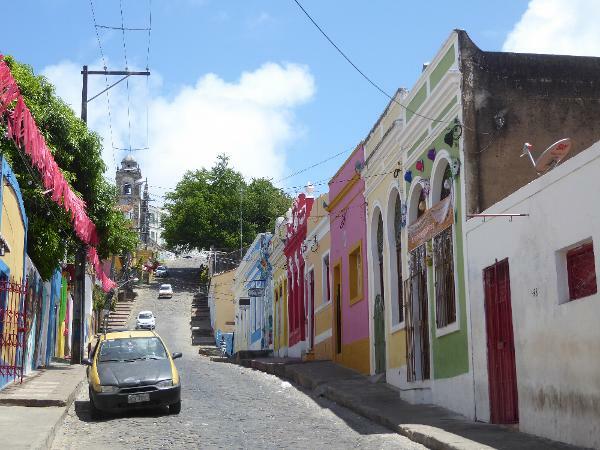 Olinda, he wrote, was the "metropolis of the captaincy and seat of the senate or municipal council." 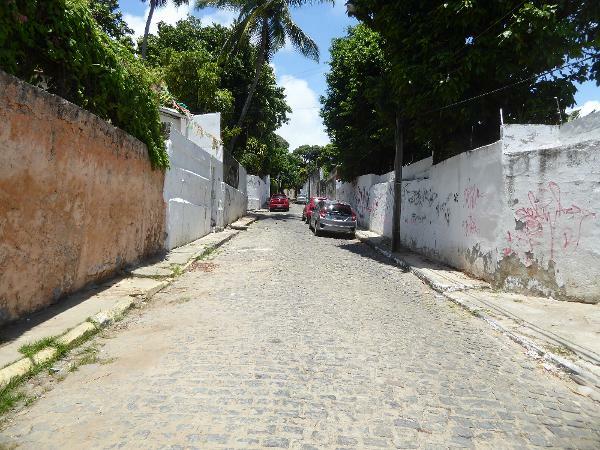 Recife, in contrast, had "not even the status of a town (villa), but was a mere appendage of the latter.... 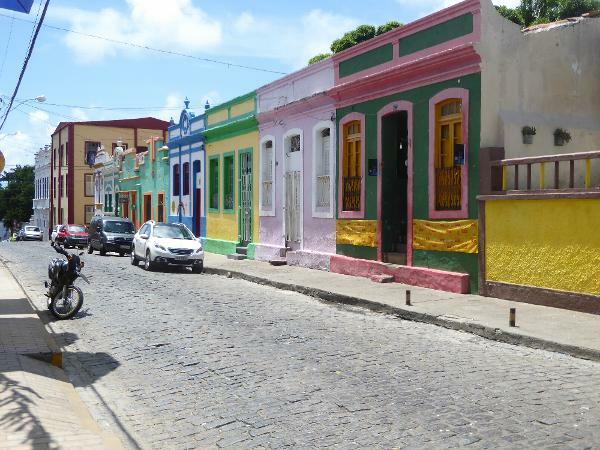 The inhabitants of Recife naturally chafed at their legal and social subordination to the municipal councillors of Olinda." 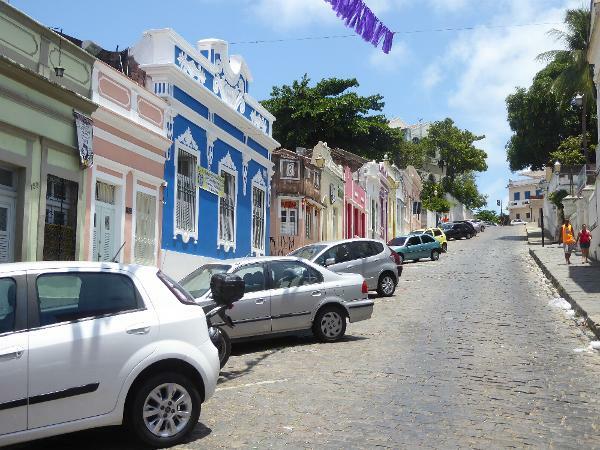 The chafing went on for two centuries but ended in 1837, when Recife became the capital of Pernambuco. Olinda went to sleep. The term "captaincy" calls for some explanation. The Portuguese Crown initially divided Brazil among a dozen donitarios, hereditary lords or captains. As a device for increasing royal wealth, the arrangement was judged a failure, and in 1549 the Crown took over direct administration. Thanks to the wealth that came with sugarcane, however, the captaincy of Pernambuco was an exception. 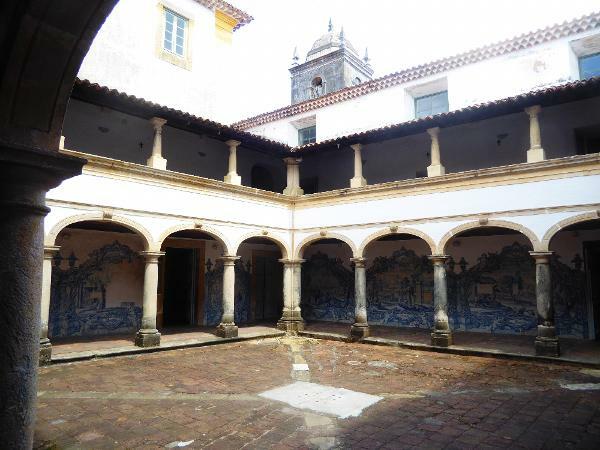 It had been assigned to Duarte Coelho, who had arrived in 1535, established Olinda, and lived there for 20 years before returning, terminally sick, to Portugal. His descendants continued as captains, at least nominally, until 1658--right to the end of the Dutch interregnum. The Dutch allowed this? Sure; they had the sense not to mess with the sugarcane industry. No point in killing the goose. As for the name Pernambuco, it's Tupi for "hollow sea," a reference to the reefs offshore here, though not visible in this image. See Boxer's The Golden Age of Brazil, 1695-1750. 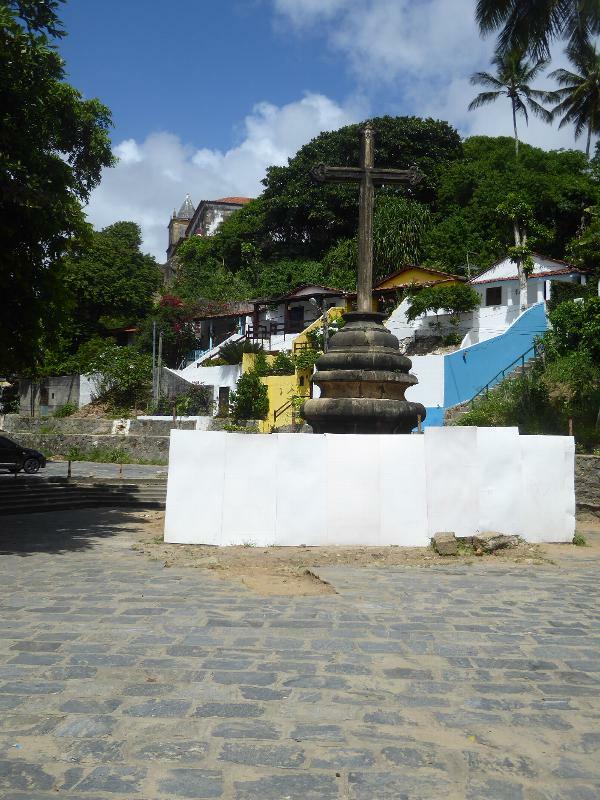 The churches and convents of Olinda face the Acropolis. Obeisance? Perhaps. At the left here is the convent of San Francisco; on the right is the very grand church and monastery of Saint Benedict. 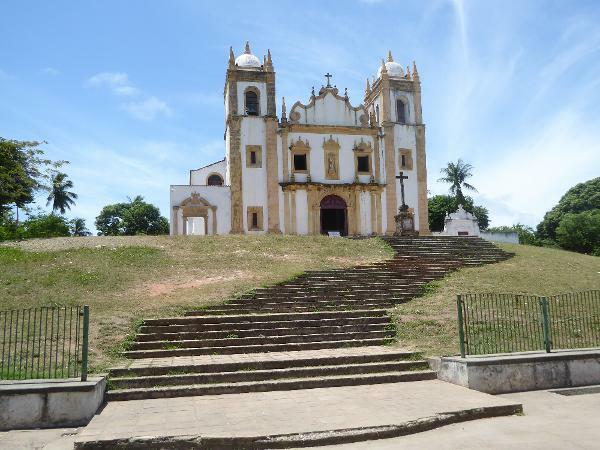 On the top of the hill, meanwhile, this is the Cathedral of Olinda, rebuilt after the Dutch destroyed an earlier church. 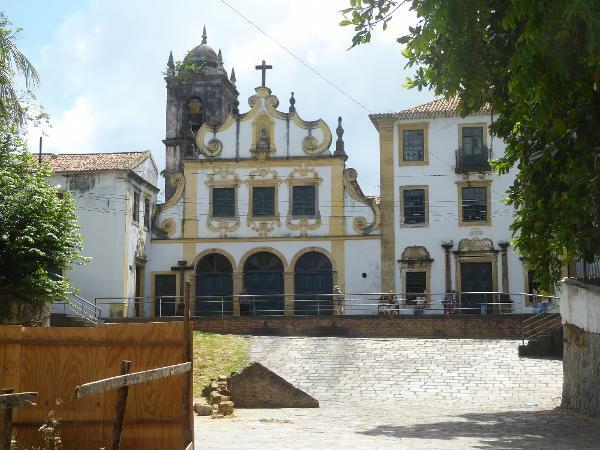 The facade has had several makeovers and is now supposed to look as it did when rebuilt by the Portuguese. 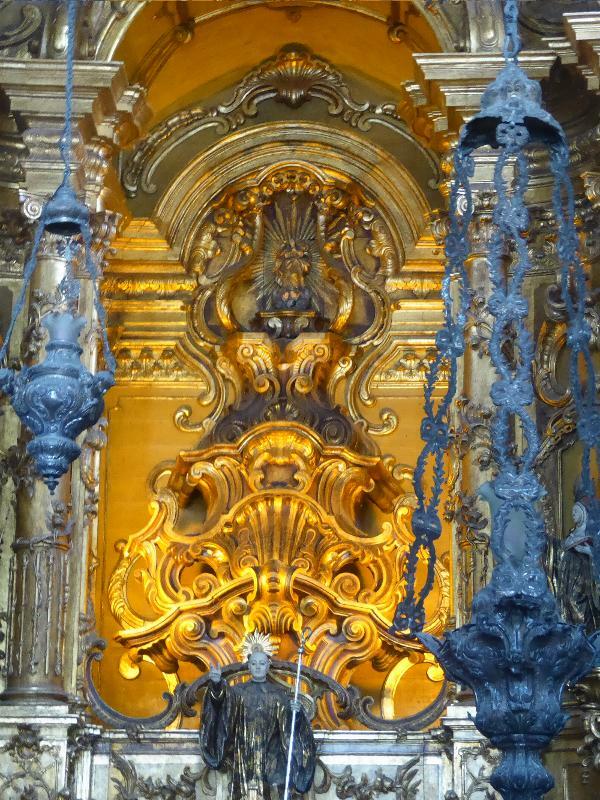 Stylistic names can be treacherous things, but on the spectrum stretching from Renaissance formality to baroque opulence, this church is firmly on the conservative side. Compared to later churches, such as the ones built on the flats below, the ornamentation of the cathedral is spare to the point of austerity. 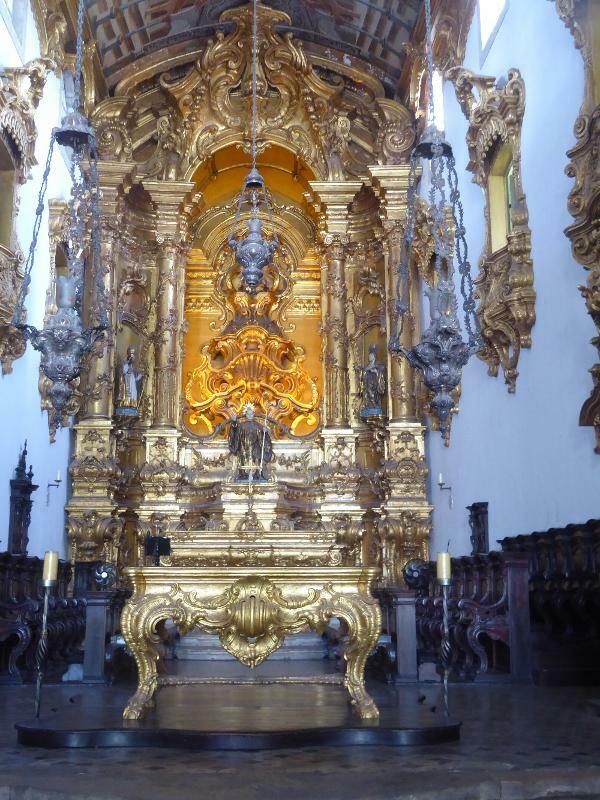 On the other hand, it does have aisles, a contrast to Brazil's rococo churches that are often giant, bejeweled boxes. 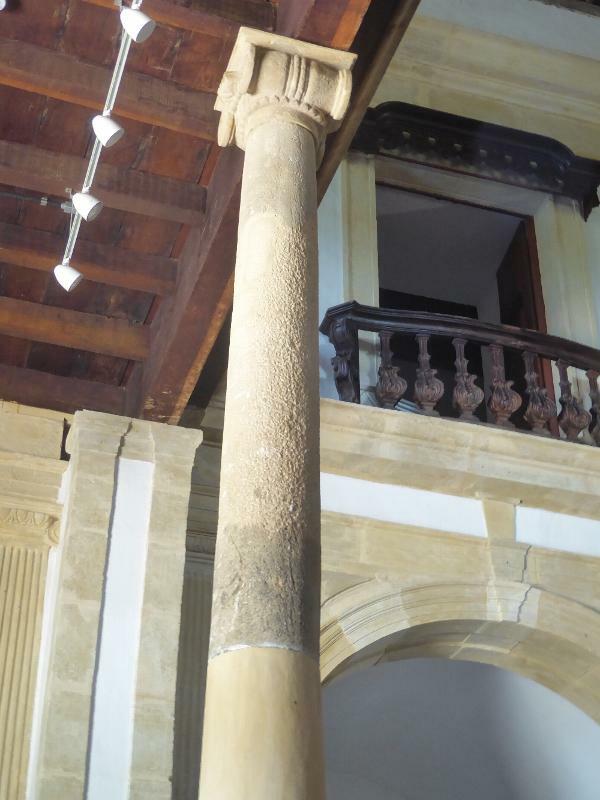 Strikingly, the columns were cut from the sandstone reefs off the coast. How this was done is a nice question--meaning, I have no idea. Down below the cathedral, there's a cross of the same stone, stained by weather. 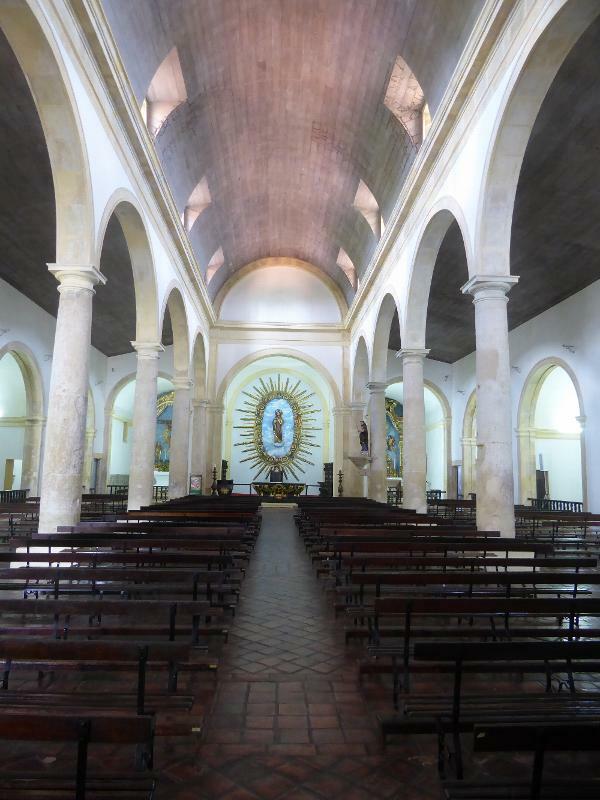 It faces the first Franciscan church in Brazil. That would be the church of Our Lady of the Snows and the adjacent convent of San Francisco. 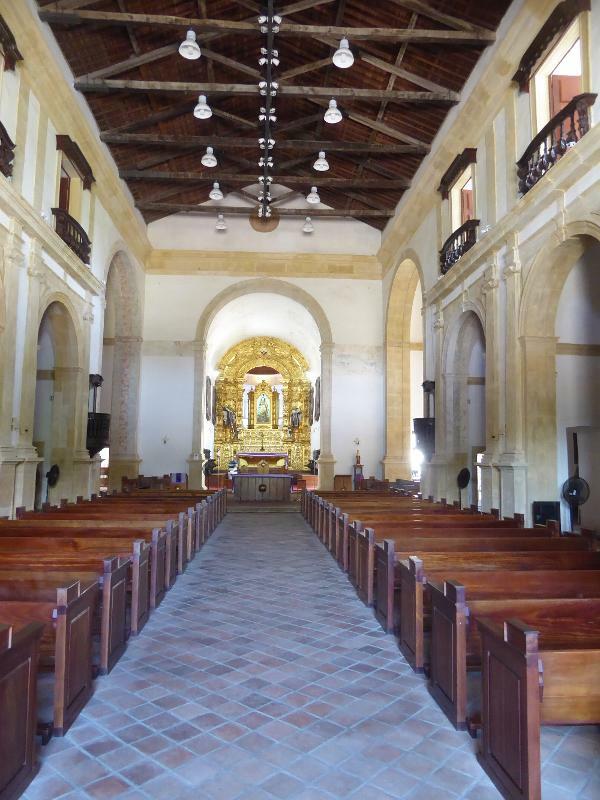 Both were begun in 1585, a year after the Franciscans were allowed to set up shop in Brazil. 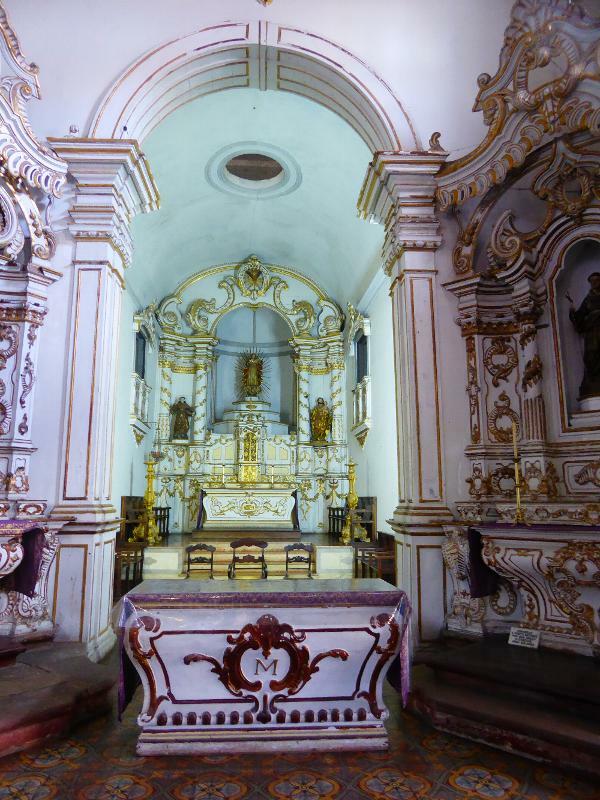 Partly destroyed by the Dutch, the church was rebuilt in a more baroque style. 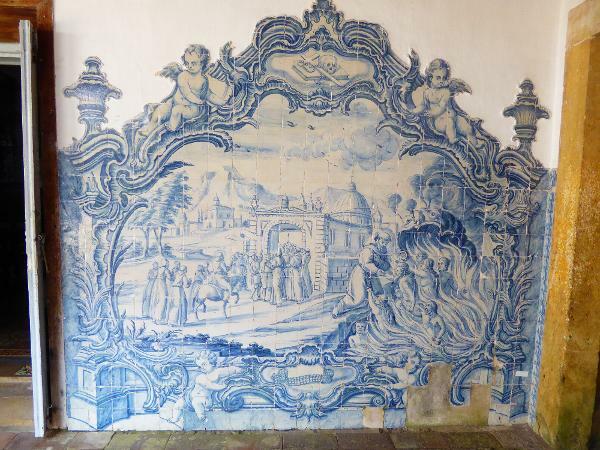 Blue tiles or azulejos were imported from the home country and used with prodigal abandon. They had the practical advantages of being easy to clean and immune to attack by bugs and climate; they also brought light into rooms that otherwise would have been very dark. Sorry to be insufficiently respectful, but these churches are as formulaic as fast-food restaurants. 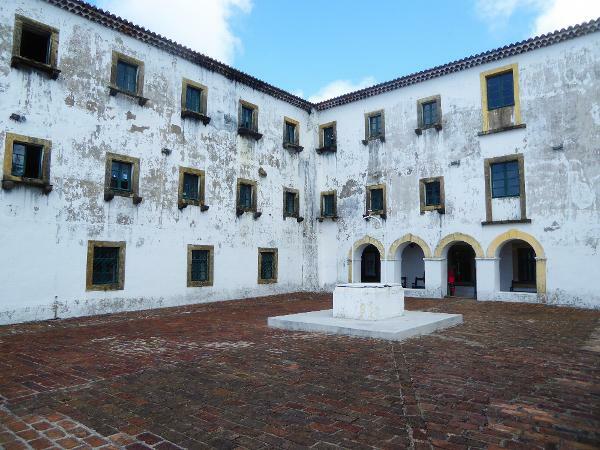 Geraldo Gomes offers a more deferential description: "The Franciscan convents like convents of other orders were square with an open internal courtyard. 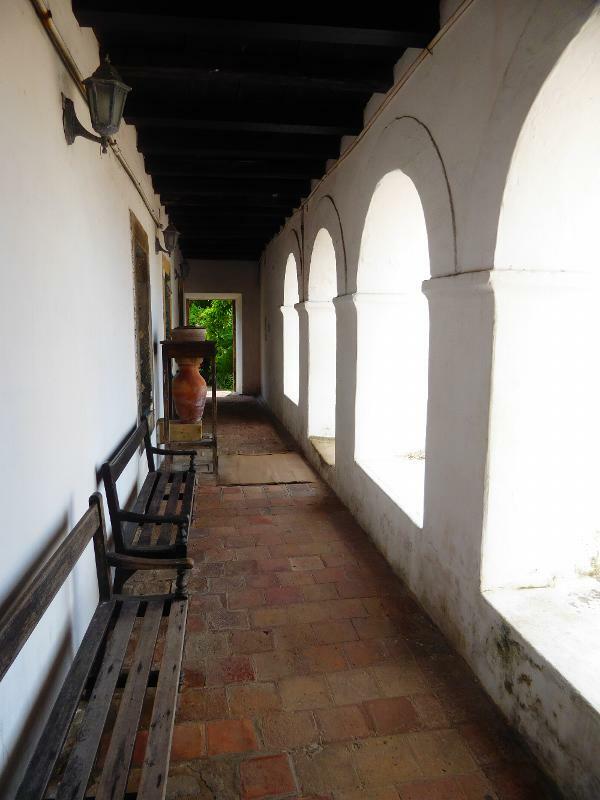 In this case, however, the courtyards were spaces of meditation, prayer and contemplation; they were cloisters, privileged spaces of exceptional architecture. They were half-open galleries with arcades supported by Tuscan stone columns on the ground floor and wooden roof beams supported by smaller Tuscan stone columns on the first floor. The upper floors of the cloisters were supported by wooden joists or by ridged vaults in brickwork, which in this case enhanced the galleries on the ground floor even more, whose walls were usually tiled." See the section written by Gomes in Roberto Montezuma's devilishly scarce Arquitetura brasil 500 anos, 2002, p. 115. The convent had its own water supply in this cistern. Look: it's still a peaceful place. 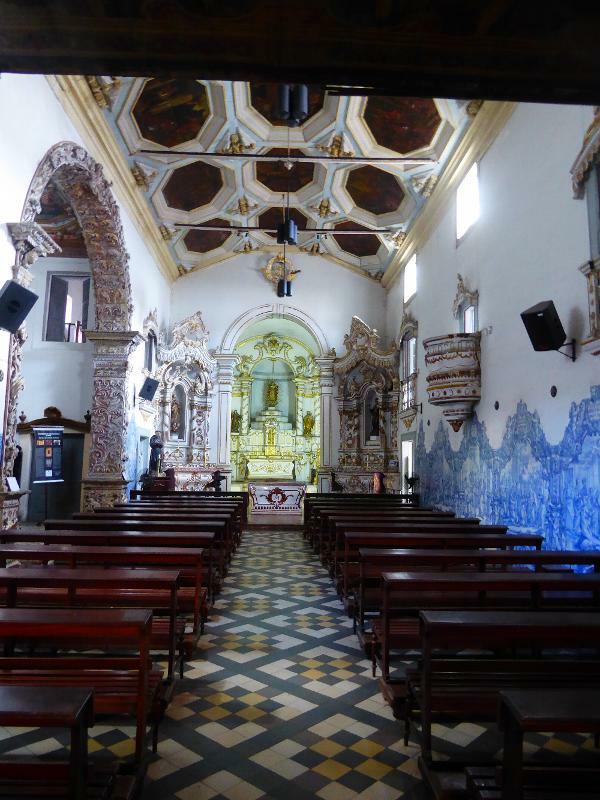 The interior of the church is walled on one side by more blue tiles and marked on the other by a deep chapel that outguns the main church. You'll see. 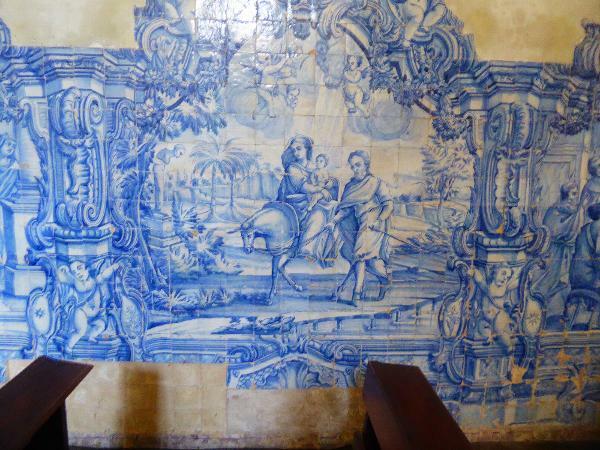 The tiles generally are allegorical or, as in this case, tell biblical stories. Can't do without hell fire. 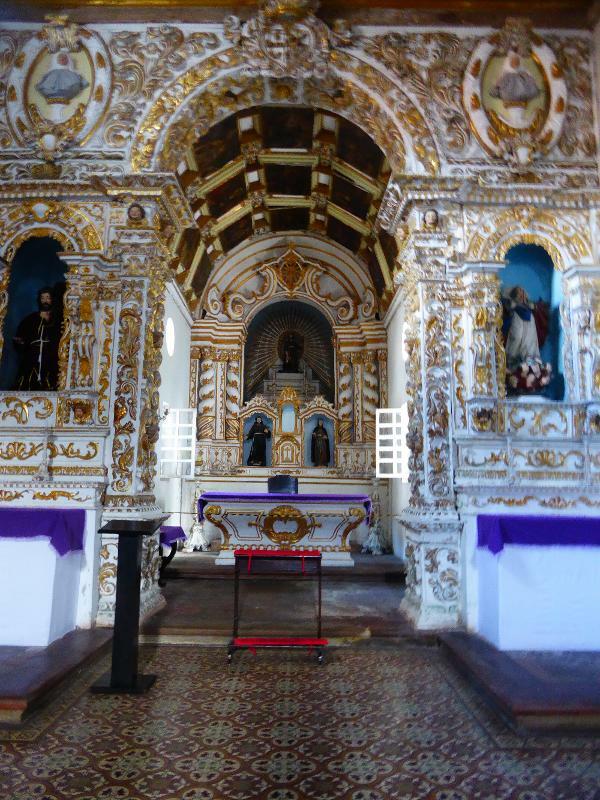 The main altar. The M presumably stands for Our Lady of the Snows. 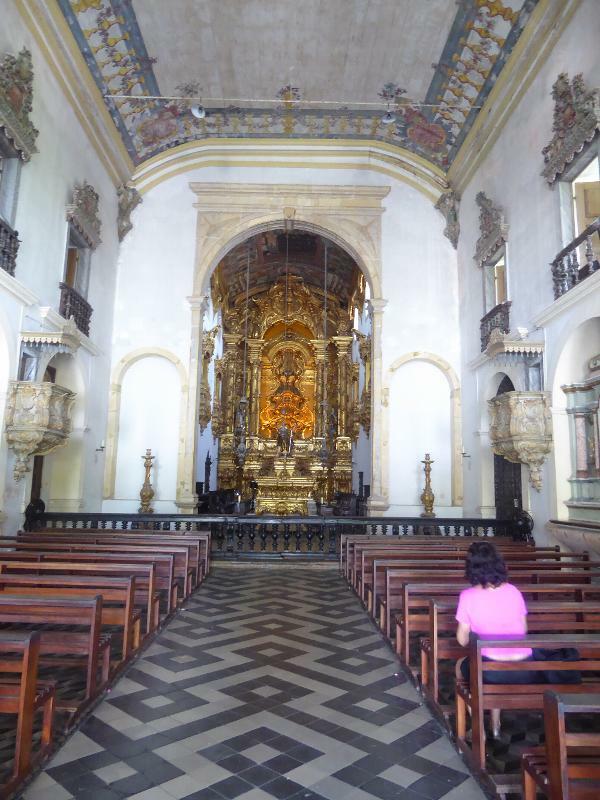 The name, which seems incongruous in tropical Brazil, refers to a snowfall in Rome in the fourth century that prompted construction of the Church of Maria Maggiore. 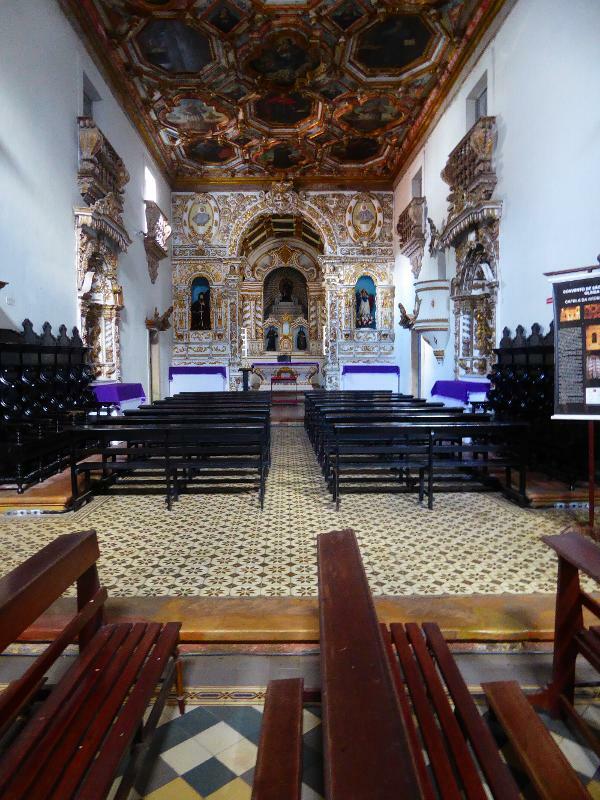 Here's the lateral Chapel of Sao Roque, built by and for the Third Order of Franciscans. 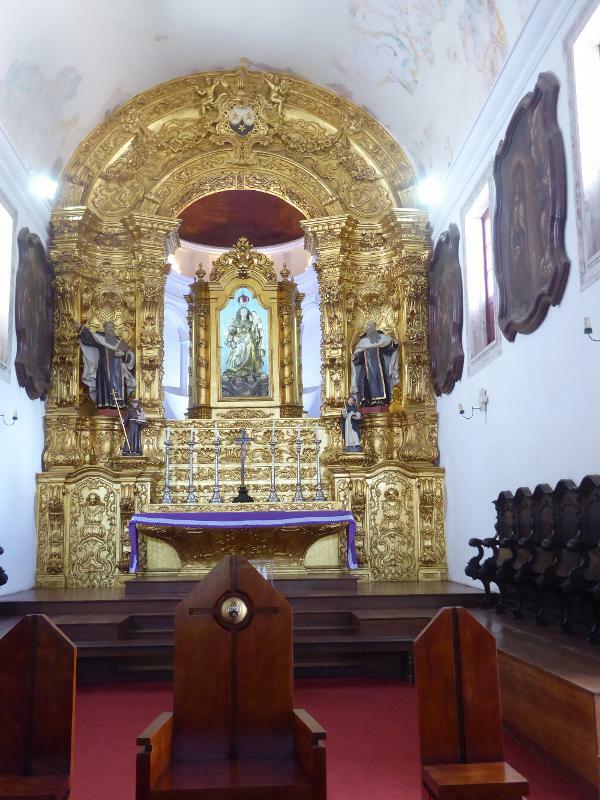 These "third order" churches and chapels are very common in Brazil. The monastic orders included organizations for monks and nuns (the first and second orders) but also for secular adherents to the faith. 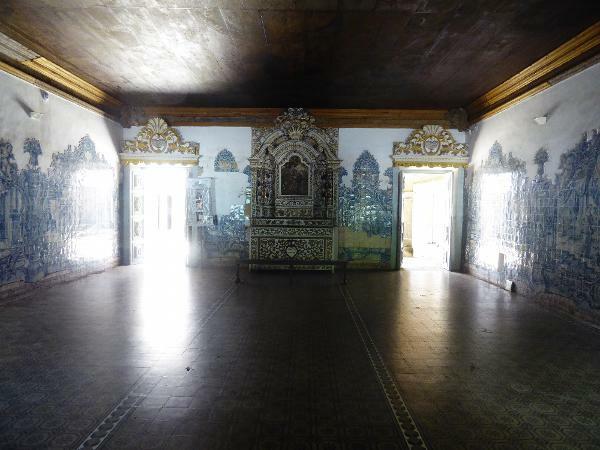 Compared to the first the orders, the members of the third often had a ton of money to lavish on their chapels. This third-order chapel has its own triumphal arch. 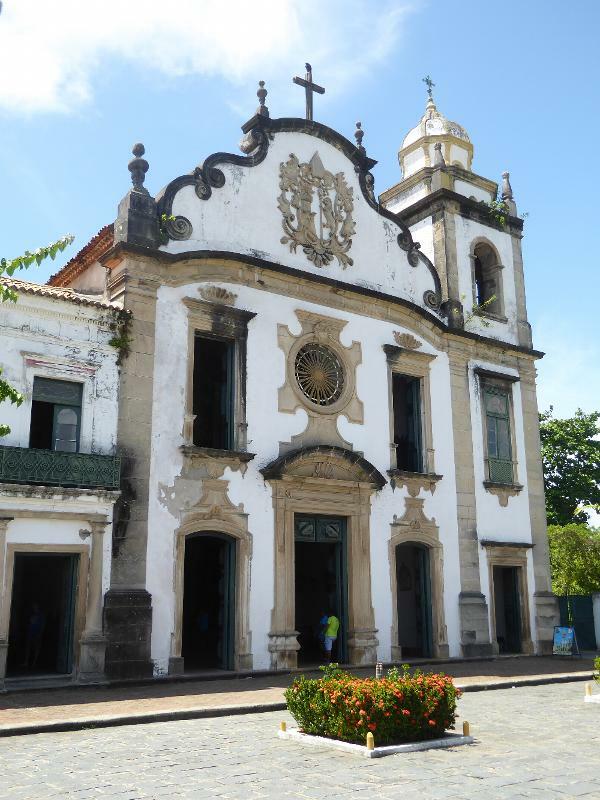 Brazil's first rococo facade is here, at the church and monastery of Saint Benedict. 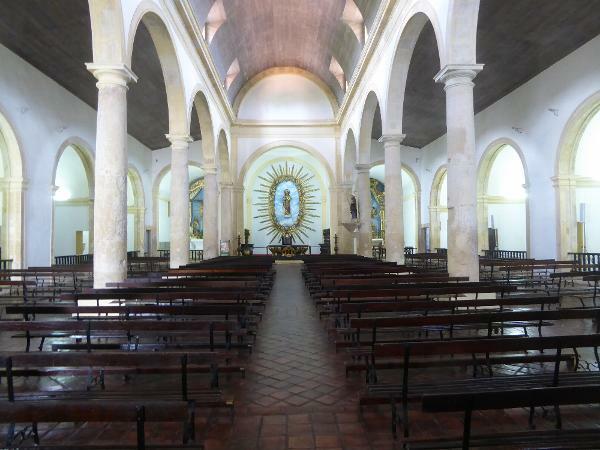 It was begun in 1761, almost two centuries after the church was founded in 1582. 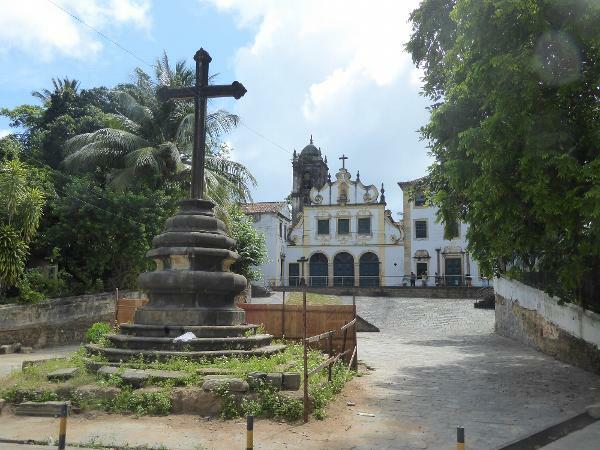 Gomes writes that "among the orders that came to Brazil, it was Caso Bento [=the Benedictines] that contained the highest number of monks whose erudition and knowledge of art exceeded their religious formation." Like the Franciscan church, this one has lost its aisles and become a big box, but the altar pulses with simulated life, a bit like a science-fiction spaceship with a brain that only Bruce Willis can destroy. First he must find the critical ventilation shaft. It really does seem to quiver. The only hint that it's not alive is its perfect bilateral symmetry. My wish for Christmas: learning how to hold a camera. 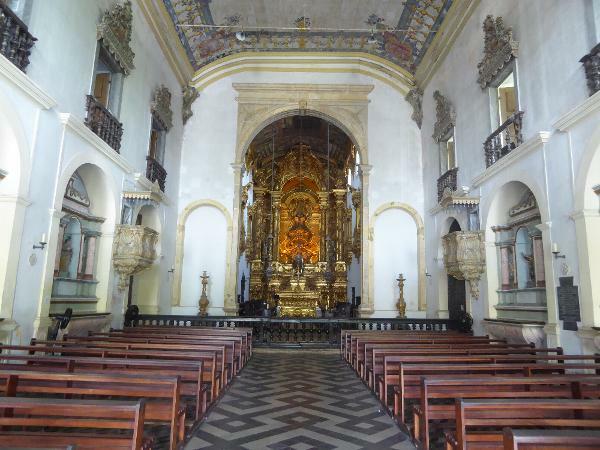 One more: this is the old church (there's also a new one) built by the Carmelites, another order active in colonial Brazil. 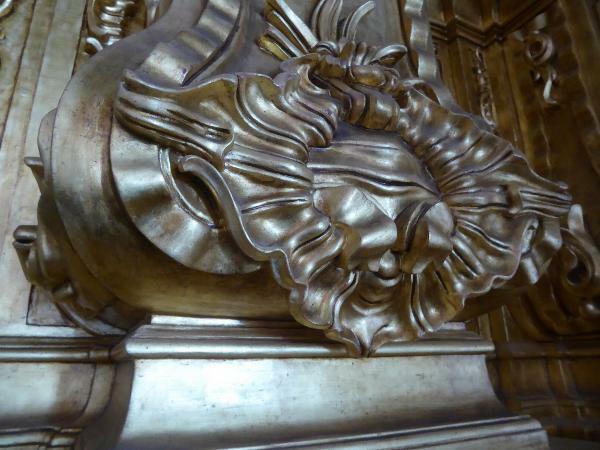 Call it a 50/50 church, splitting the difference between Renaissance sobriety and rococo extravagance. You recognize the stone, cut from the reef. Thank God it's closed. This is the church of Saint Peter the Apostle, but I can only handle so many in a day. But notice that it has only one tower. We've seen some like this but others with a matching pair. Apparently symmetry wasn't a commandment. That's the Church of Mercy (Misericordia) on the hill, along with the Academy of Saint Gertrude, but I'm more interested in the vernacular stuff in the foreground. 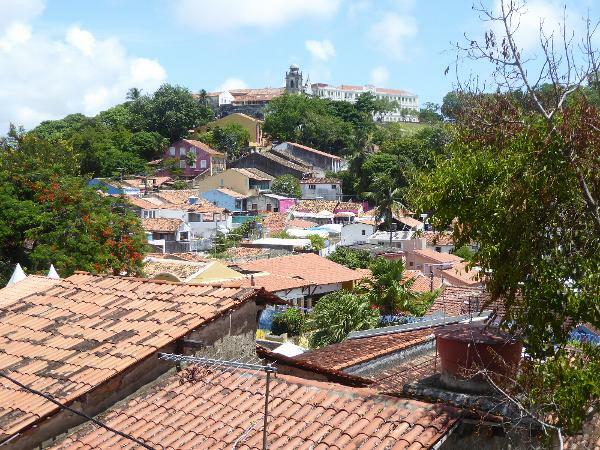 Olinda has been on UNESCO's World Heritage List since 1982. That means tourists, and they mean fresh paint. The colors must be (yes, I'm bluffing) wildly ahistorical. The residential streets are pretty much just that. Maybe there was a special on green paint. Notice the sad preoccupation with security, a recurrent theme everywhere in urban Brazil. If you can afford to protect your stuff, you do.